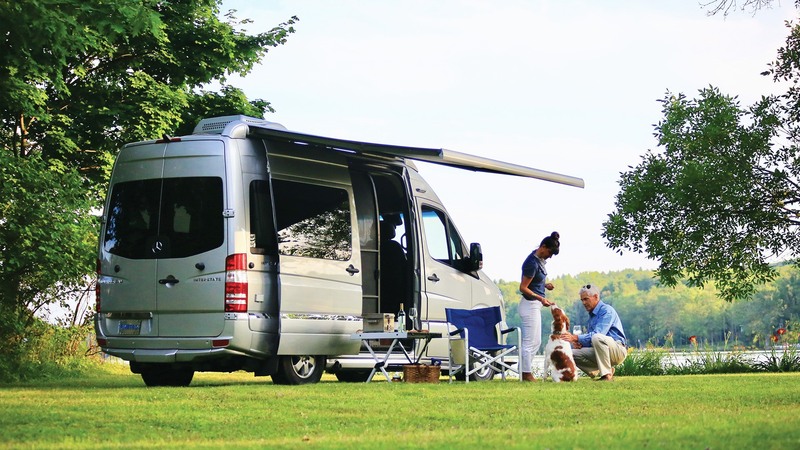 The Interstate Nineteen Touring Coach takes everything that makes the Interstate the #1 best-selling Class B diesel motorhome and wraps it in a smaller, nimbler 19-foot package – one that fits nicely in a standard parking spot. Take off for a solo adventure or get some couple time. Head to the city or the campground. Enjoy every luxurious amenity and every advanced safety feature. And most importantly, have the time of your life. The Interstate Nineteen's floor plan has space for everything you need, whether you're on the road or enjoying your destination – a kitchen, a bathroom, sleeping space, lounging space, and more.